We’ve come a long, long way from the time when an HIV+ diagnosis was a death sentence. We now know that those who manage their treatment can live as healthily and productively as anyone else. And that has changed the life insurance landscape too. It was back in the Nineties when scientific evidence began to show that HIV was a chronic, manageable illness. It is much like diabetes rather than a universally life-threatening condition. So an HIV+ person can have almost normal life expectancy if they have access to proper healthcare and medication. And, of course, if they adhere to their treatment protocols. “Hollard was the first to offer life, critical illness and disability cover, in 1999 and, from the start our approach has been to provide HIV+ clients with cover that has no exclusions based on their HIV status,” says Hollard Life’s Head of Underwriting, Hayley Taylor. Consider this: Hollard has offered insurance to HIV+ clients. Yet they’ve only had two claims lodged. In recent years there has been more research by reinsurers supporting this trend. So the broader insurance industry has come on board. This is great news, says Hayley. 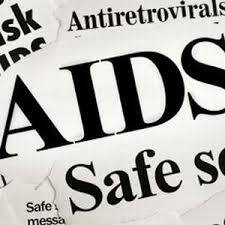 A precondition for some insurers will be strict adherence to an Antiretroviral (ARV) programme. Some policies require Proof of Ongoing Compliance (to verify adherence to an ARV programme). And you may be expected to bear the cost of this. Cover periods can vary but it is preferable to take cover that extends for your lifetime. If it is only offered for a fixed period, in time you will be required to reapply and at which stage you would pay for premiums appropriate to an older you and your health may have deteriorated – which means higher premium costs. Every insurance company offers different features and benefits and it is always best to consult with an experienced financial advisor who is familiar with each product and can guide you through their respective conditions. “After so many years of misunderstanding the condition, it turns out there is no elephant in the room when it comes to being HIV+. Hollard is able to assist all our clients in providing for life’s ups and downs with appropriate life insurance cover,” concludes Hayley.